We happily treat many children at our office. We recommend the very first appointment for girls to be in the early 3 years range and late 3 years for boys. Most of the children we treat do not require any special sedation or management. 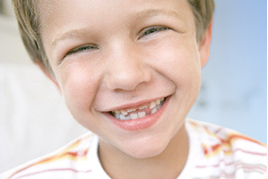 We take extreme care in providing a very positive and friendly atmosphere on the child's first dental appointment. That very first dental experience is crucial in establishing a healthy, long term relationship between the dentist and the young patient. In cases where we deem the patient to be too apprehensive, requiring extensive dental work or where the patient's health requires specials needs, we will refer children to pediatric dental specialists. Pediatric dentists may introduce sedation and can render a more productive and positive experience for both the child and parent.